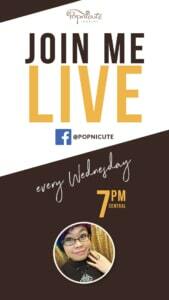 Watch Kharisma making jewelry every Wednesday at 7 PM CST, live on Facebook. Invite your friends to have a Watch Party together. Open studio experience, online. Let’s have a chat, ask me anything. Hit the Follow button during the live feed to ensure you get the notification for the next live.